We are confirmed play dough addicts around here! There’s so much to love about the benefits and joys of playing with play dough. 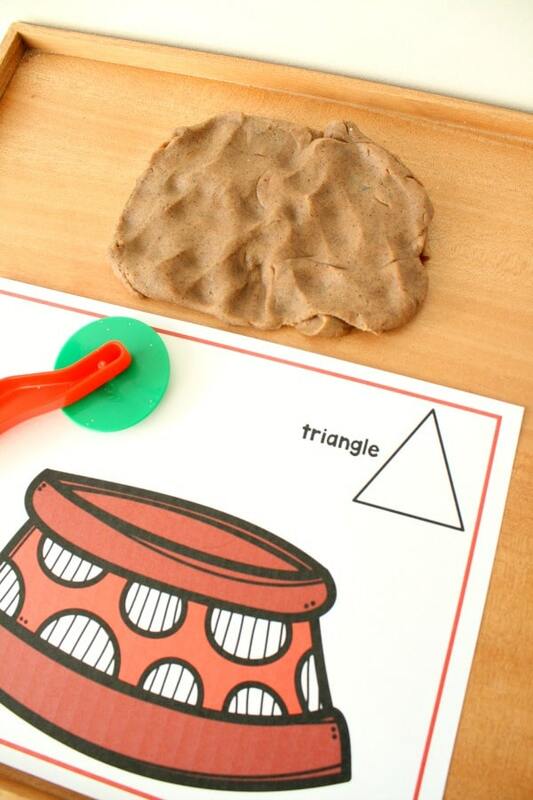 Often we set up play dough invitations that involve open-ended play and creating. Other times I like to set up play dough invitations with a more direct learning goal. 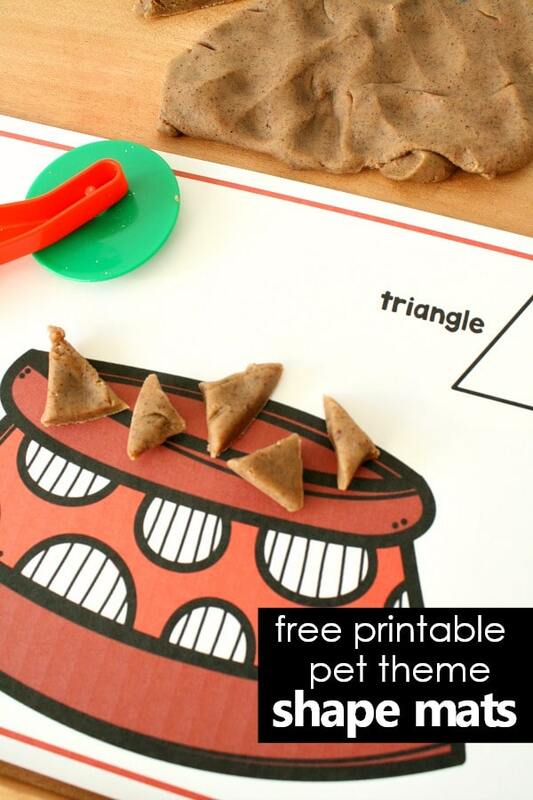 That’s exactly what we did here with this pet food play dough invitation. 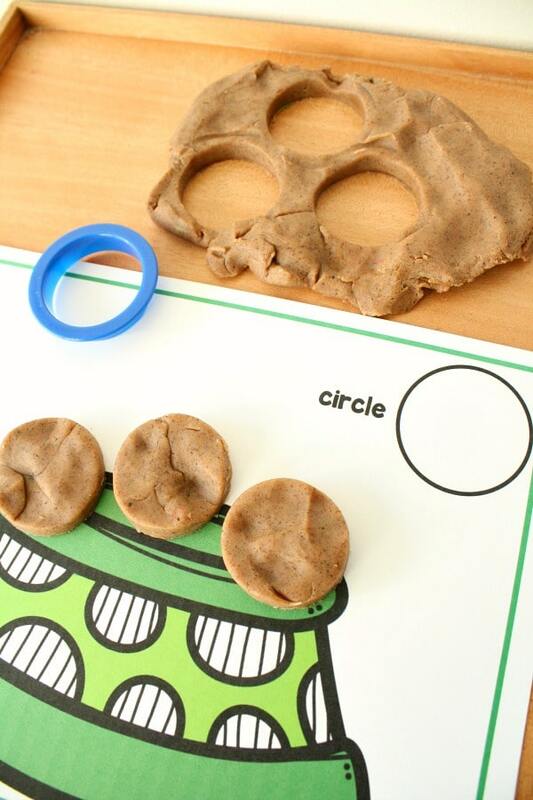 By combining the pet theme play dough shape mats with some play dough and basic tools, kids have the opportunity to make various 2D shapes in a fun, hands-on way that doesn’t involve worksheets or tracing. In this free printable set we’re including shape mats for building triangles, circles, and squares. If you’d like to work on even more shapes, there are additional shape mats included in our full pet theme lesson packs. To prepare the activity you’ll want to laminate your mats or place them in plastic sheet protectors. Gather some basic dough cutting tools or shape cookie cutters. Set these items out with play dough of your choice. 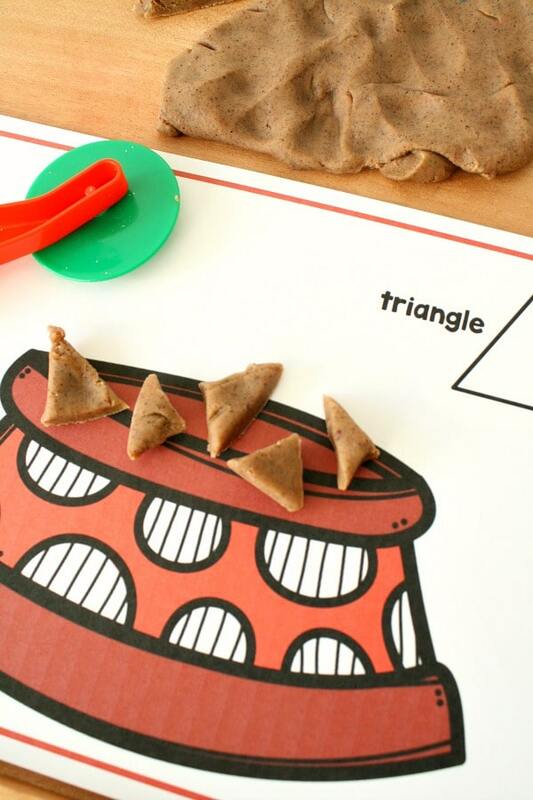 You can make your own brown play dough or use store bought dough. We happened to have a batch of gingerbread play dough handy, so we went ahead and used that…it smelled way better than actual pet food. 😉 However, you could have some fun mixing up your own pet food play dough recipe with the kids. Sprinkle in some dried herbs for fun! 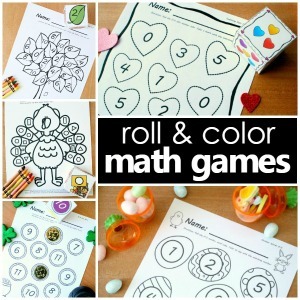 Based on the needs of your kids there are a few different ways you can present this activity. 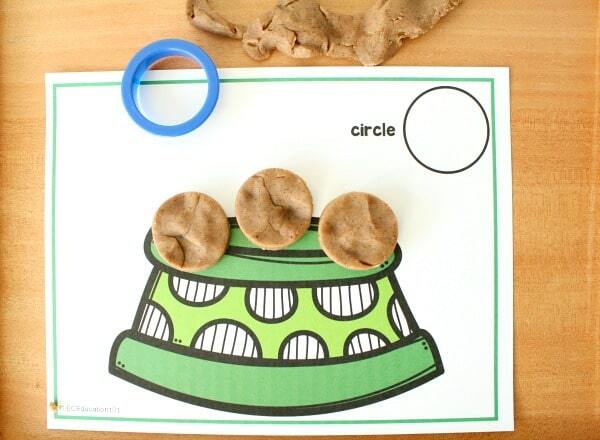 For kids who are just beginning to learn shapes you can limit to one or two shape mats and use cookie cutters. 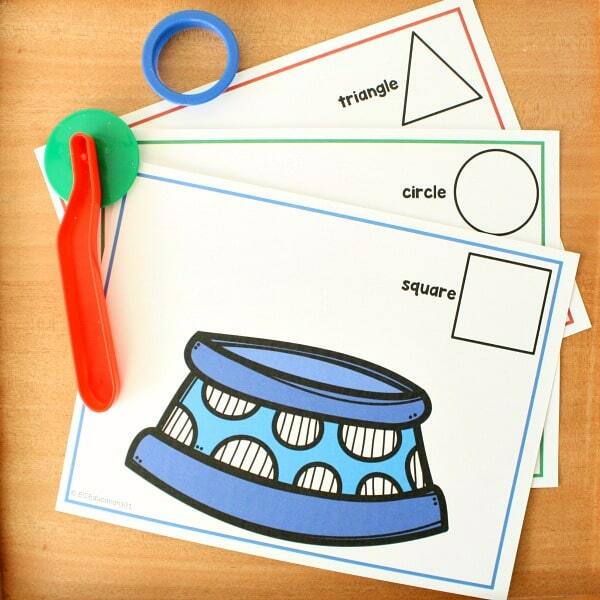 That way kids can create the shapes more easily while they are still learning to identify them. Kids who are more comfortable at identifying and building shapes can use cutting tools to form the shapes independently. This take a bit more fine motor control and a deeper understanding of each shape, but it’s a great next step for kids who already know their shapes. This approach also gives them the opportunity to form shapes of different sizes. When making triangles in particular than can gain some experience with understanding that triangles can be found in many different variations with different angles and different lengths of sides as long as they have three sides and three vertices. 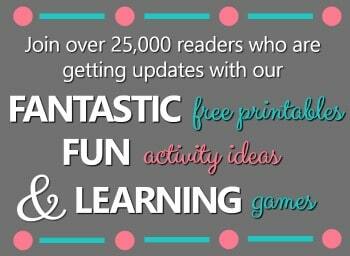 Grab you free printable shape mats below, and join in the fun! 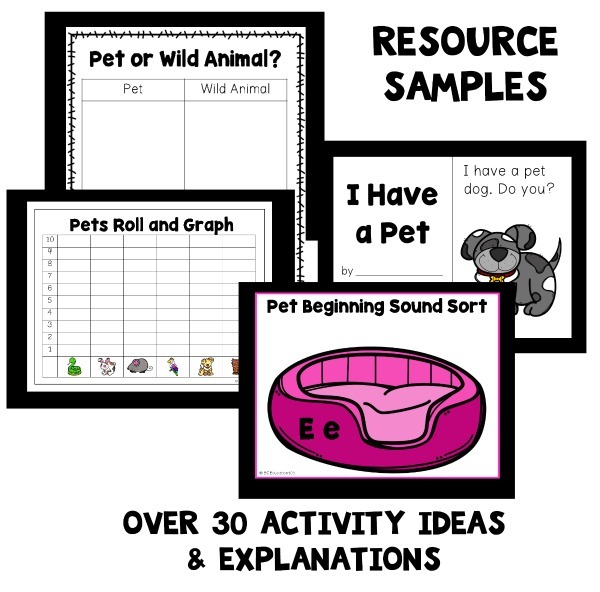 1) Small Pets Number Cards (0-35)-4 sets with different animal options for math and calendar activities.